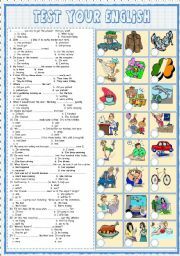 This worksheet contains 25 sentences with all tenses which are used to express future.Answers and B&W version is added. 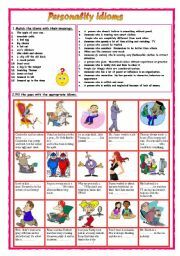 This worksheet consists of idioms connecting to personality & physical appearance .Ss have to match the idioms with their meanings then write the right idioms into the sentences.B&W version and answer key is included.Have a nice week! 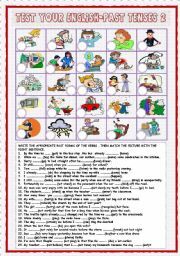 If you like summer ,I hope you will like this worksheet,too.It has three exercices:match the idioms with their meanings,usage and match the sentences with the pictures-answer key is included. 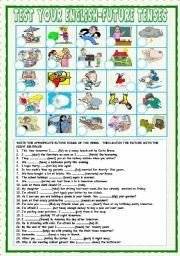 Thanks for your nice comments on my worksheets!Have a nice weekend! It´a simple PP doc. 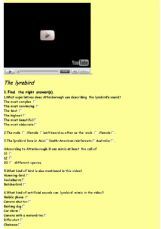 about wild animals.Just click on the picture and get short informations about these animals. 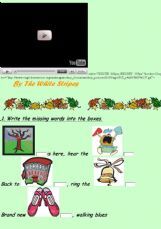 I used the simplier version of this PPT with my youngest students.Now I added some sounds (alphabet and animal sounds) to it and short descriptions of the animals ,so I can use it when I teach have got/has got and can.My students loved it very much.I hope U will like it. Unfortunatelly I had to divide it into five parts because of the size.This is the second part. This Ppt is about haggis.One of our coursebooks deals with Scotland and the well-known haggis isn´t mentioned in it so it gives students extra information. 10+1 questions about haggis ,based on The history of haggis. 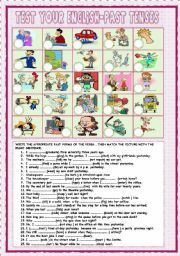 A funny Halloween song sung by Duck Tales figures.Activities:S.Past or Past cont.,Personal pron.and Halloween related vocab+ crossword. 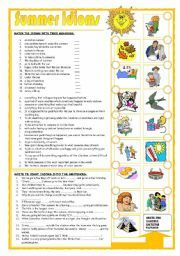 A nice song by The White Stripes-to start your first English lessons in the new school year-it´s about school and friendship.There are different listening comprehension tasks an finally a school schedule to practise school subjects.I hope you´ll like it. 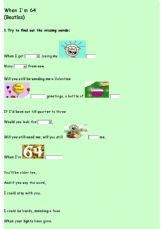 A funny song about resolutions.Great starting point to talk about New Year´s promises and future. 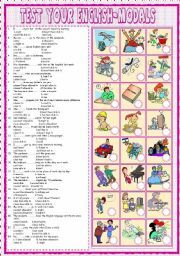 It´s my first on-line exercise.I´ve made some changes an extra crossword was added to it (simple past)and I´ve changed the font size ,too. A beautiful song for mothers and for children ,too.In Hungary we celebrate Mothers´ Day on the first Sunday of May and I´ve been teaching this song for my students(they love it very much).I hope you´ll like it ,too.